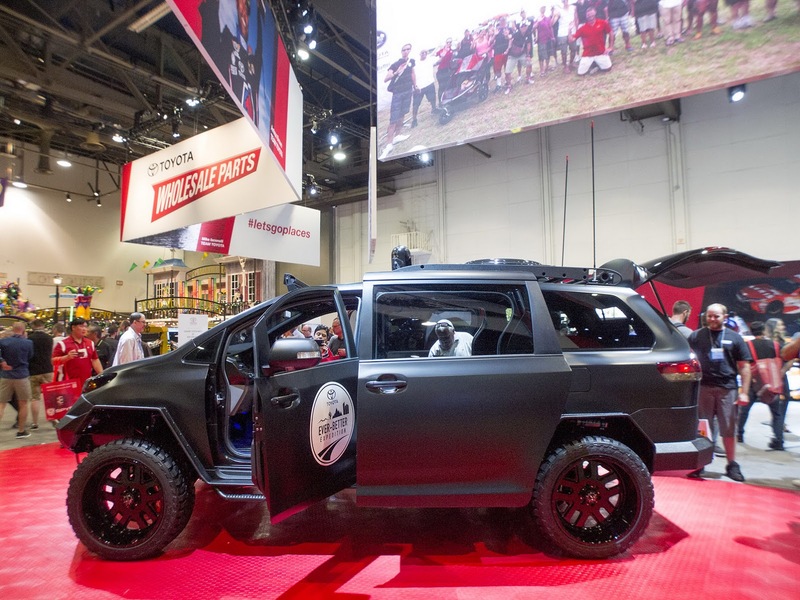 In June 2015 sometime ago, Toyota teased to the public their 'Ultimate Utility Vehicle', but now the Japan's leading automotive manufacturers such disclose at SEMA Show 2015. 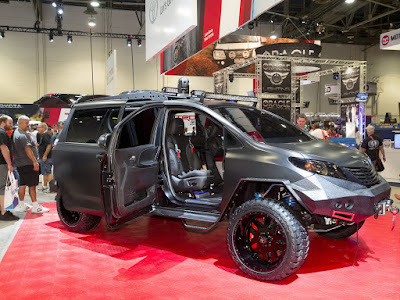 A mixture of minivans and SUVs is modified in such a way and produce a shape similar to a military vehicle. But make no mistake, this is a real passenger cars such as another Toyota vehicles in general. The Toyota UUV designed from the results of a design that unites of 330,000 Toyota's team members worldwide with the mission to provide a better vehicle. This car was made to travel as far as 16,500 miles in North America through the most extreme conditions on Earth. 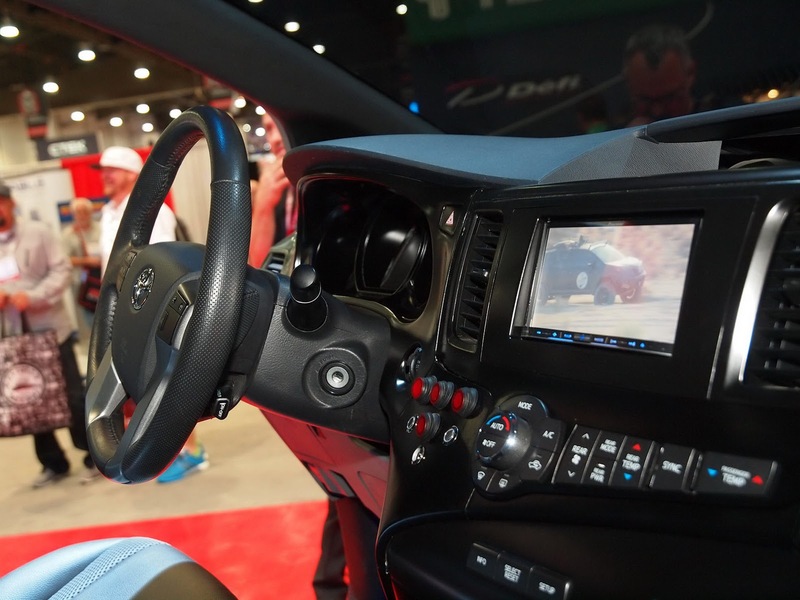 As reported by the Carscoops, November 6, 2015, The Toyota's monster is using the body belonged to Sienna because it offers the most comfortable interior space than most cars used for long trips. 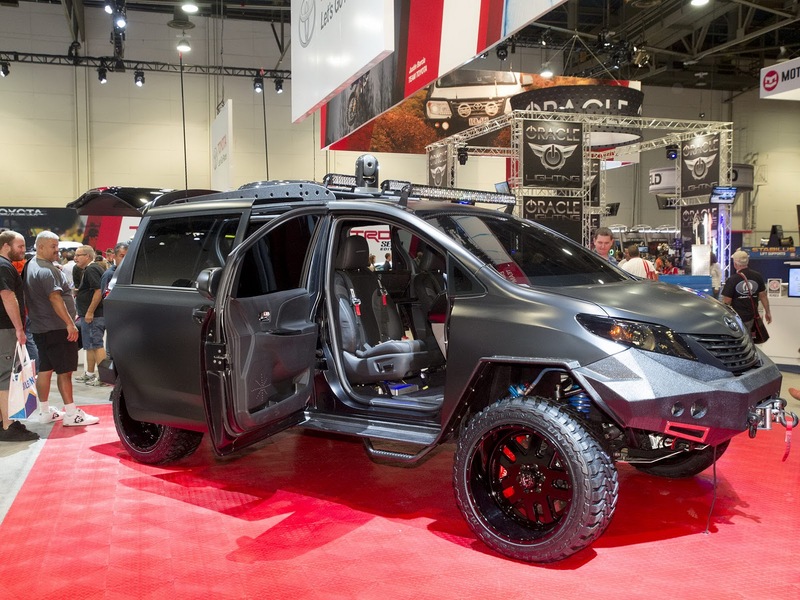 Sienna car body is mated with a Toyota Tacoma 4x4 to take on shades of cool off-road vehicle. 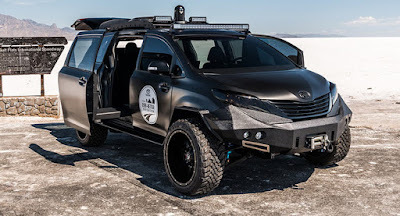 Toyota completes the UUV with a TracVision mobile satellite television receiver, Wi-Fi, Internet access, multiple USB ports, 17 inches monitor, Sony LED TV 60 inches, 2,500-watt JBL audio system, and Flir M-324xp night vision camera system with the high-definition.